Feast your eyes on the cutest pictures of Russian tortoises you have ever seen! There are image sections for babies, adults and then Russian’s just being the darn cutest things ever! If you are looking to get your first one as a pet these images below will seal the deal! Or if you are just looking for images, we have a wide array below, all high quality and cute! Have you ever thought about purchasing a Russian Tortoise? 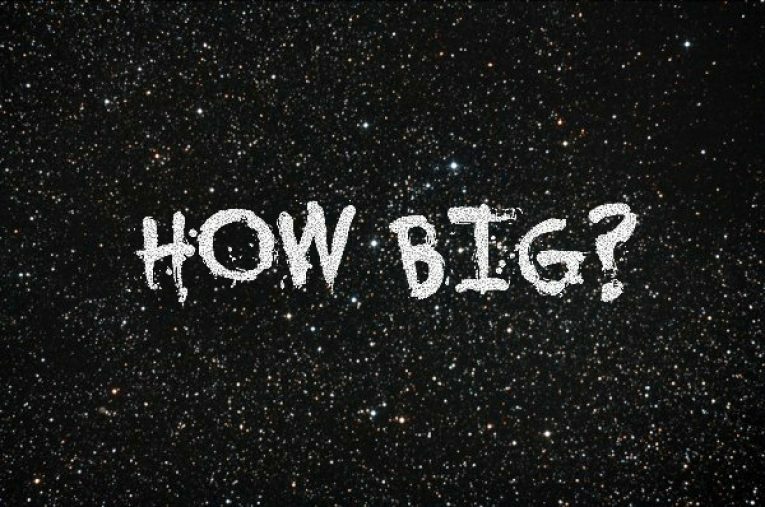 If so, this is the article for you! There are many things that you need to know about this unique animal before driving to the pet store with all intention of bringing home a new companion. Some things about the Russian Tortoise may surprise you, some may not, but these are the main things that you definitely need to know. 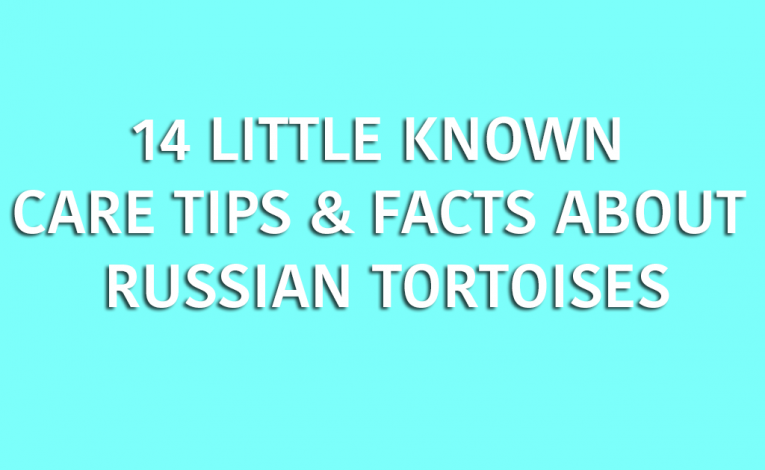 First things first, what are the things that you could possibly not know about a Russian Tortoise? Assuming you’ve done some sort of research before going to pick out your new scaly friend, some of these may just be fun facts or they may all be new to you. Read the 14 below! The first thing you should know is that Russian Tortoises are used to a dry desert-like setting, however they do like any sort of patch of grasses and/or vegetation. Be sure to have all things necessary to make your new pet as comfortable as possible. These interesting creatures are typically found in Iran, China, Pakistan, and Russia, hence the name “Russian tortoise”. Males are surprisingly smaller in size than females, ranging from 13-20 centimeters in length whereas females can range anywhere between 15-25 centimeters. You probably already know what colors a tortoise typically possesses, but in order to be certain that you have a true Russian tortoise, their coloring will be reddish brown or even black. Here’s a fun fact; they have four toes! These fascinating reptiles are herbivores, given they like having areas of vegetation in their habitat. They typically eat anything from flowers to weeds, grasses, or just about anything that’s green. Clean water is crucial for proper health and a water bowl needs to be present at all times for whenever they need a drink. Do not let them ever go in the bowl for a dip or to bathe because the water will get dirty but they also typically urinate when they go in water. Russian Tortoises are very active animals, you’ll often see them digging or climbing around their cage. So make sure they have some good hiding places! Russian Tortoises are grazers, their behavior includes eating a very large portion of leafy greens or weeds before going back into hiding, so they don’t eat as often as one might assume. They are incapable of digesting meat so do NOT feed this to them! They have a very accurate biological clock, they thrive at their best when they have an equal 12 hours of light as they do 12 hours of darkness, kind of like humans! Food that contains oxalic acid or phytic acid are poisonous for these creatures. Russian tortoises hibernate when it becomes cold, usually between around October and March. Tortoises are known for aestivation, which is very similar to hibernation. They have this sort of behavior when their habitat is too hot or they’re lacking sufficient amounts of food or water. Given all of the facts above, you should have a pretty well understanding of the Russian tortoise diet. Just to recap, they are herbivores and cannot digest meat, so they really enjoy patches of grasses and weeds, aloe and dandelion plants, and even English daisies! Always make sure that there is enough food and water in their habitat, as they typically eat large amounts at one time and absolutely need a sufficient amount of water in their daily diet. This includes asparagus, beans, brussels sprouts, many different herbs, spinach, nuts, wheat, etc. Be sure to educate yourself as much as possible before introducing new foods to your pet. The anatomy of a Russian tortoise is incredibly interesting, as they’re unlike a lot of other creatures. The underside, or belly of the tortoise is called the plastron, while the part of shell nearest to their neck is called the nuchal. Each part of their rings on the tops of their shell each have a different and unique name. For example, the rings lining the shell on the bottom are called marginals, on the side they’re called scutes, and up top by their head is called the carapace. Their backside is called the supracaudal. Looking at a diagram of each component of the Russian tortoises anatomy makes it look so much more interesting, but in scientific terms, it’s important to know what’s what when referring to your new friend! 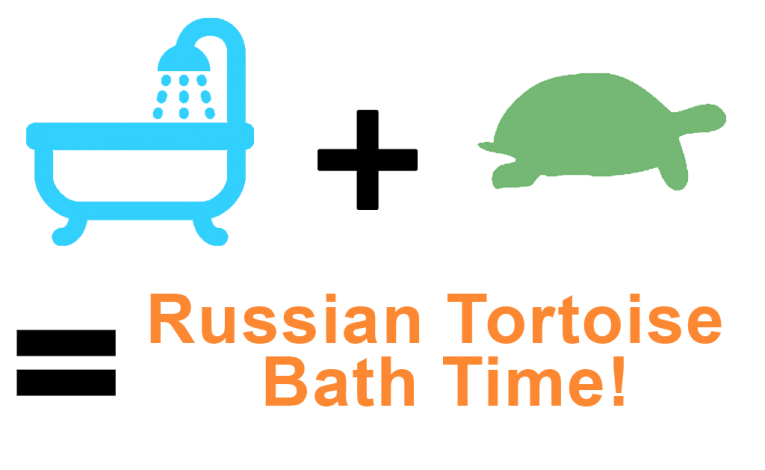 Take a look at our Russian Tortoise Infographic below! It summarizes the above text. People who are new to the ownership of Russian tortoises should know that these animals really do require special enclosures. People cannot store them just anywhere. 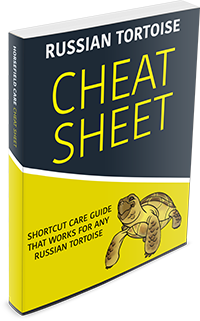 Russian tortoises have specialized needs and they should live out their relatively long lives in the enclosures that were specifically designed for them. How Big Do Russian Tortoises Get In Size? The Russian tortoise is the most popular tortoise pet. They are small so they are easy to keep in apartments and dormitories. The length of a tortoise is measured from the carapace. As hatchlings, they measure 1 inch in length so pet stores can carry many of them. However, almost all Russian tortoises in the US are imported. They are cheap pets to buy and keep. When buying a Russian tortoise, look for one with bright eyes. Russian tortoises are also more active than other tortoises, making them a more enjoyable pet. They enjoy eating and moving around. If they are allowed to burrow they can be kept outdoors. The Russian Tortoise can withstand temperature extremes when burrowed. Russian tortoises prefer to be left outdoors in warm weather. 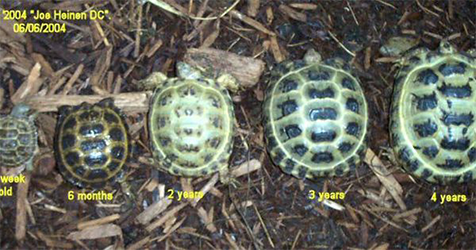 Female Russian tortoises are larger than male Russian tortoises. When a female reaches 6 inches long, she is mature. She can produce eggs at this stage. Males tend to have longer tails generally tucked to the side; females have a short, fat tail. Russian tortoises are usually imported when they are young adults at 4 to 5 inches in carapace length. Russian tortoises lay eggs. The male Russian tortoise courts a female through head bobbing, circling, and biting her forelegs. Russian tortoises eat a lot for their size. Variety in their diet is key. They prefer broad leafed veggies. Kale, lettuce, turnip tops to name a few. Do not give them fruit. They also love dandelions. You will have to quarantine sections if allowed to graze because they will eat plants down to nothing fast. They enjoy eating plants and weeds, but will not eat grass unless there is no other option. The best way to keep a Russian tortoise is outside in a 2 foot by 4 foot enclosure with a foot of it underground so they don’t burrow out. They like shady grass to keep cool and if you can make a burrow box underground they will be happier. Russian tortoises file their nails on rocks so make sure to put some in their enclosure. Russian tortoises reach a maximum length of 8 to 10 inches. Females being the 10 inch and males the 8 inch. Russian tortoises will hibernate underground all winter but if left inside at a stable temperature they will not. However, they do not need to hibernate. If kept indoors they should have a spot where they can get warm by a light.They do need a UVB light if kept indoors. Many people use large rubbermaid containers as a terrarium. Tortoises will try to walk out of a glass terrarium. A mix of 50/50 sand/topsoil is a good starting place. They like a little tiny bit of moisture just so it is not dusty. The water needs to be changed daily as they love to dirty it up. You can use coconut fiber or peat moss. Make sure it is deep enough for them to burrow in. They need water to drink but keep it in a shallow bowl because they will climb in themselves and defecate in it and take a bath. Soak them 10-15 minutes a week to rehydrate.They are prone to get respiratory infections if they can’t dry out though. Russian tortoises need heat but also a place to hide from the heat. One area should be 90 degrees and another 70 degrees with a sturdy wood box to hide in. Turn off all the lights at night. You should be monitoring temperature and also humidity. It should stay at 60% humidity in their terrarium. If you want more than one tortoise, make sure there is only one male per enclosure. 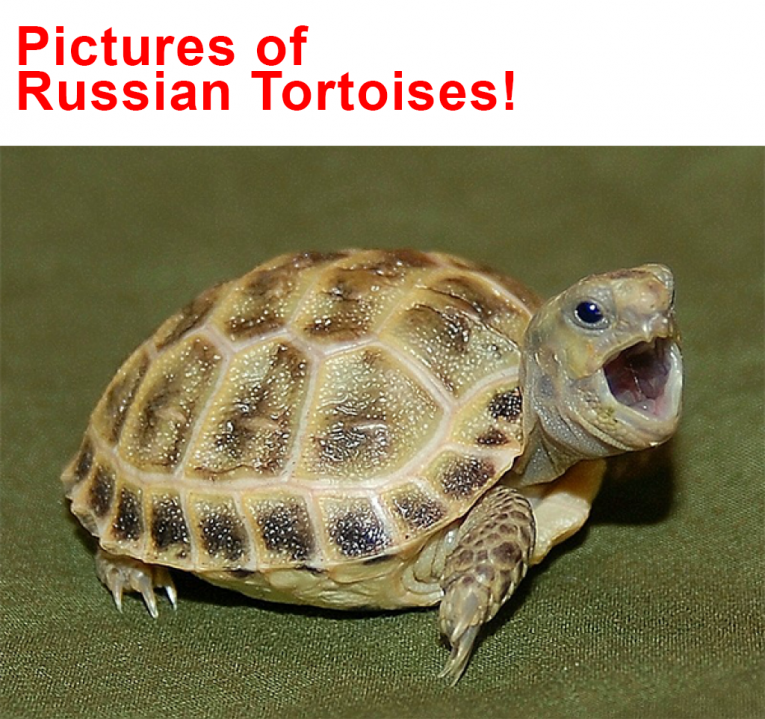 Russian tortoises are aggressive with other species and males are aggressive to other males. Make sure you give each tortoise a hiding spot to. Whether it is a large rock or a wooden hiding box, they need a little space from each other some times. In conclusion, Russian tortoises are a great starter pet and if you take care of them right they will live to be 40 years old. You can mate them when the female is 4-5 inches long and they are full grown at 8-10 inches long. They love to burrow, keep warm and be left alone.